I regret the inconvenience caused all of the blog followers and the visitors due to the movement of a lot of contents to my new website. I would like you all to visit my new website http://blog.manoharbhattarai.com.np/ and follow for more interesting and helpful contents. Please visit http://blog.manoharbhattarai.com.np/ to subscribe and follow the blog there to get updates on my new posts. Would love to see your presence there with your valuable comments. 1. Go to System->Administration->Synaptic Package Manager. 2. Click search and write xubuntu-desktop/kubuntu-desktop and search. This will install xubuntu-desktop/kubuntu-desktop to your Ubuntu system. To login to xfce or KDE environment change the session on the main Log-on screen. I have three desktop environments(Gnome(default), xfce and KDE) on my Ubuntu 8.04 system. The new version of Ubuntu is going to be released on October 10, 2010 (10/10/10) by Canonical Ltd. The Ubuntu 10.10 version which has been named Maverick Meerkat has a lot of features. As the version number signifies, hope that it comes out to be 10 out of 10. If you want to know Technical overview of this version of Ubuntu, you can find it here. If you want to download Ubuntu, you can download from the Ubuntu website here. Or you can request Ubuntu CD from here. 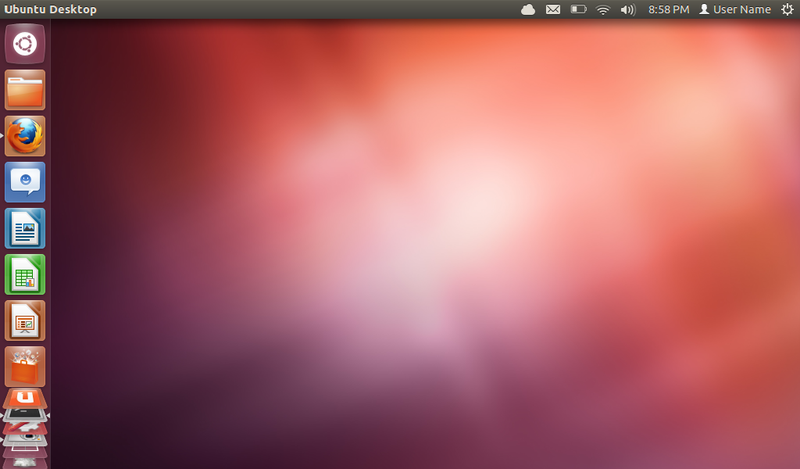 I think this version of Ubuntu will attract more users to migrate from other OSs to Linux. Hope you all who have not used Linux before will try this and enjoy the experience. I found this article and thought of sharing with you all. I am posting an extract from the article and the link as well. Anyone interested in reading the full article can use the link. Hope it will be informative to all. The DoD indicates that FOSS has been central to its Information Technology (IT) operations since the mid-1990’s, and, according to some estimates, one-third to one-half of the software currently used by the agency is open source.The U.S. Office of Management and Budget issued a memorandum in 2004, which recommends that all federal agencies use the same procurement procedures for FOSS as they would for proprietary software. Other public sector agencies, such as the U.S. Navy, the Federal Aviation Administration, the U.S. Census Bureau and the U.S. Patent and Trademark Office have been identified as recognizing the security benefits of publicly auditable source code. To understand why free and open source software has become a common component in the IT systems of so many businesses and organizations that perform life-critical or mission-critical functions, one must first accept that software bugs are a fact of life. The Software Engineering Institute estimates that an experienced software engineer produces approximately one defect for every 100 lines of code. Based on this estimate, even if most of the bugs in a modest, one million-line code base are fixed over the course of a typical program life cycle, approximately 1,000 bugs would remain. Though open source applications had almost as many source code vulnerabilities upon first submission as proprietary programs, researchers found that they contained fewer potential backdoors than commercial or outsourced software and that open source project teams remediated security vulnerabilities within an average of 36 days of the first submission, compared to 48 days for internally developed applications and 82 days for commercial applications. Not only were bugs patched the fastest in open source programs, but the quality of remediation was also higher than commercial programs. Veracode’s study confirms the research and anecdotal evidence into the security benefits of open source software published over the past decade. According to the web-security analysis site SecurityPortal, vulnerabilities took an average of 11.2 days to be spotted in Red Hat/Linux systems with a standard deviation of 17.5 compared to an average of 16.1 days with a standard deviation of 27.7 in Microsoft programs. Academia and internet security professionals appear to have reached a consensus that open, auditable source code gives users the ability to independently assess the exposure of a system and the risks associated with using it; enables bugs to be patched more easily and quickly; and removes dependence on a single party, forcing software suppliers and developers to spend more effort on the quality of their code, as authors Jaap-Henk Hoepman and Bart Jacobs also conclude in their 2007 article, Increased Security Through Open Source. The consequences of manufacturers’ failure to disclose malfunctions to patients and physicians have proven fatal in the past. In 2005, a 21-year-old man died from cardiac arrest after the ICD he wore short-circuited and failed to deliver a life-saving shock. The fatal incident prompted Guidant, the manufacturer of the flawed ICD, to recall four different device models they sold. In total 70,000 Guidant ICDs were recalled in one of the biggest regulatory actions of the past 25 years. Guidant came under intense public scrutiny when the patient’s physician Dr. Robert Hauser discovered that the company first observed the flaw that caused his patient’s device to malfunction in 2002, and even went so far as to implement manufacturing changes to correct it, but failed to disclose it to the public or health-care industry. The body of research analyzed for this paper points to the same conclusion: security is not achieved through obscurity and closed source programs force users to forfeit their ability to evaluate and improve a system’s security. Though there is lingering debate over the degree to which end-users contribute to the maintenance of FOSS programs and how to ensure the quality of the patches submitted, most of the evidence supports our paper’s central assumption that auditable, peer-reviewed software is comparatively more secure than proprietary programs. Programs have different standards to ensure the quality of the patches submitted to open source programs, but even the most open, transparent systems have established methods of quality control. Well-established open source software, such as the kind favored by the DoD and the other agencies mentioned above, cannot be infiltrated by “just anyone.” To protect the code base from potential adversaries and malicious patch submissions, large open source systems have a “trusted repository” that only certain, “trusted,” developers can directly modify. As an additional safeguard, the source code is publicly released, meaning not only are there more people policing it for defects, but more copies of each version of the software exist making it easier to compare new code. Here is how we can install google chrome (chromium) web browser in Ubuntu. It is an open-source browser project that is safer, faster, and more stable. This blog written with the help from different sites. Thank you all.